A DIY kit which contains 4 x 300mm self adhesive flexible LED tapes and 2 x 50mm LED corners, making it ideal for many applications in the home such as kitchens or bathroom. 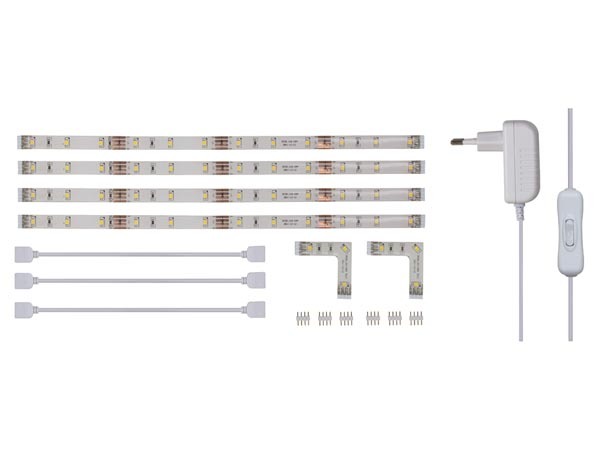 Each of the four straight lengths contain 12 high brightness cold white LED's, the two corners have 3 LED's. The kit comes complete with all the necessary cables, connectors and power supply.